Generating growth in sales is all about empowerment. In this day and age, the digital arena has completely revolutionized the way businesses become relevant in the market. 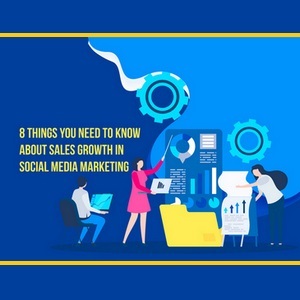 Social media marketing is one way to do it and having sales enablement tools to complement it provides better traction in empowering businesses to attain success in their sales and marketing needs. These days, making a sale is just as important as coming up with a well-thought-of process in improving the buyer’s experience and building a genuine relationship through it all. This is the reason behind optimizing transactions in accordance with the buyer’s journey. And social media marketing’s effectiveness is rooted in this process. 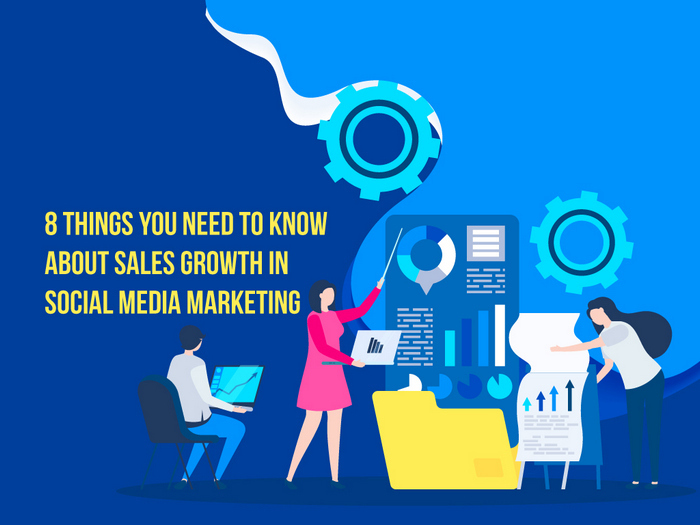 In order to transform wasted opportunities to more closed deals, you should consider looking into the foundation of the things you need to know about sales growth in social media marketing. Put growth into the equation in order to come up with extensive and trained decisions for your team! No matter what your industry, cause, or target audience is, the simple fact of the matter is: social media marketing works. It would be rare to find someone who is not aware of the presence of social media. It has been a driving force that compels people to take advantage of this medium of communication. Traditionally, communicating with other people moves at a sluggish pace. But the colossal power that digital avenues hold pushes a rise in the number of voices that can be heard through this network. Having the right strategy and a thorough understanding of your business goals would allow you to drive traffic in a straightforward way. Since social media thrives in speed and viral presence of content, generating traffic allows better circulation for sales opportunities. Clients are most likely to follow a brand because of their efforts in social networking. Generic responses in capturing the audience’s attention do not motivate traffic generation towards sales growth. Pew Research Center’s study found that over 68% of American adults are Facebook users, a large number in the demographic factor of a country. A majority of social media users will probably look into the way that a business utilizes social media marketing as their sales tool which ultimately influences their buyer’s journey, enough to convert them into a possible lead to a customer. Teams from the Search Engine Optimization (SEO) industry are consistently recognizing social media marketing as a long-standing tool in earning traffic. Driving traffic into your presence in the digital network allows you to earn access to a wide array of customers for emerging opportunities towards sales growth. Social media posts can be regarded as tools to aid businesses for the public to find their content and click through their site to find out more about their services. To do that, businesses have to be the answer to people’s questions. SEO promotes this initiative by way of digital marketing efforts, putting businesses on the map for the public to see. Social media marketing and SEO work hand in hand by driving traffic to optimized content. Sharing evergreen content across networks becomes a strength for businesses to increase the quality of their presence across digital networks. Social channels like Facebook, Twitter, and Instagram have changed the way that people see effective marketing tools. What social media marketing has as an edge over traditional marketing is its capability to reach the target audience for a more efficient Customer Relationship Management (CRM). Not only is it an avenue that can generate traffic, but social media also allows salespeople to be immersed in consumer behaviours as well as their lifestyle insights. 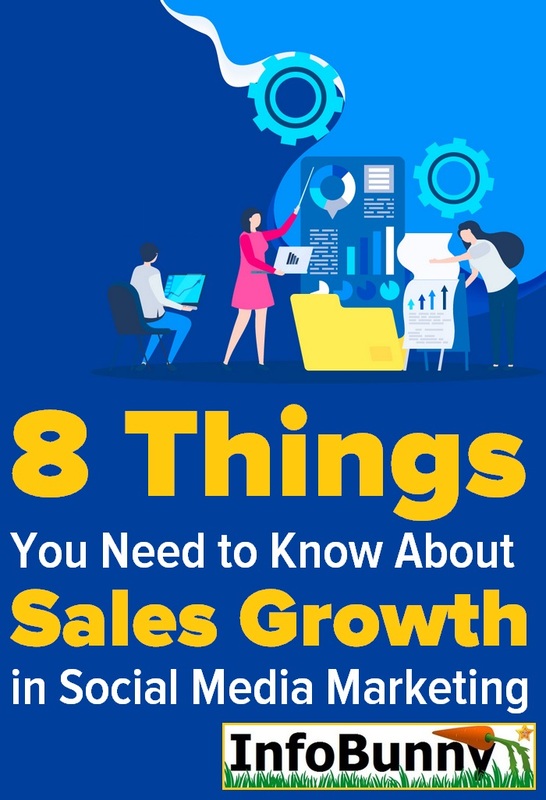 Just by reading posts and updates, sales growth is aided by the marketing benefits rooted in a thorough understanding of a customer. Being equipped with this knowledge will allow businesses to generate more compelling content that caters to the needs of the customer. An active social media presence builds a connection with your audience that goes beyond interaction. Social media marketing works by the authenticity and ingenuity of it all. No one likes the feeling of being sold to. So when you dabble with social media marketing, avoid resorting to hard-sell content. Consumers use social networking sites as tools of communication, not marketing machines so building a relationship with them is essential. This type of marketing is important for business because it has the power to influence customer decisions regarding sales. From identifying probable buying decisions and its journey along the sales funnel to addressing a client need, social media marketing is crucial because it helps motivate a business to stay productive. Amplifying the reach of your business through social networks stratifies the consumer markets in accordance with the sales efforts and initiatives. Salespeople are accustomed to coming up with targets in order to measure how they are performing in terms of growth. Social media marketing harnessed huge developments in the way that sales targets are observed because it is a sustainable tool for this type of purpose. Traditional sales methods can now be an obsolete practice in the efforts to reach the target audience because people are now looking for more personal and genuine conversations with salespeople. Social media marketing seeks out productive results stemming from its potential to effectively address needs. If you are looking for a content marketing strategy that would enable you to seek out potential customers for your industry. These potential customers can be directed to your presence on social networks to help them be familiarized with your brand. Social media marketing strategies are valuable because reaching out to the target audience supports your brand’s growth to meet customer needs. Influencing sales decisions also show how brand loyalty can be formed according to what the target market needs. In addition, social media marketing establishes you as an authority in your industry. It may be a huge step but this authority can be attained from simple tasks like joining Facebook groups or forums to demonstrate your business expertise. Supplying answers to queries can also help in exhibiting leadership among audiences. Social media marketing can provide you with a medium to achieve these results that is why it is important for businesses. Social media does a lot in promoting brand image especially in the matters of customer service. Once you interact with people, the way you carry your brand determines how customer service is observed in your organization. Over time, you would become more than a brand but a part of a community. If there is an unforeseen problem from your products and service, quick responses to customer queries will make all the difference in promoting brand image. Meeting customer expectations has shown that consumers tend to reward companies with their patronage and loyalty. Your online marketing presence will help keep your image positive all while keeping customers happy as well. A strong social media promotion can build a pool of loyal customers because if they can see that you value them enough to learn the tricks and trade in social media marketing, then they will make a huge difference in helping you maximize your capabilities in a competitive market. It may be a bit of a stretch but it should be stated that every business needs social media marketing. The right strategy will help you arrive at opportunities to defeat your competition for sales growth. Social media branding may seem intimidating but once you get the hang of it, you will see the myriad of benefits that you can receive from it. Everyone can make use of social media marketing once they commit to it. Starting a social media account is free and it is a fairly even playing field when it comes to reaching audiences. Businesses do not have a monopoly on their target audience which makes social media marketing transcend the traditional way of doing sales. Nowadays, outsourcing social media services have been commonplace, even the big brands recognize that multiple channels are essential if they want their audience to engage with their vision as a brand. Whoever succeeds in resonating well with customers and establish ties to a community for something new and interesting, would come out as a productive contender in this type of marketing. Social media is king especially if stories are added to the equation. It is hard to tell which content and vision you have to partake in but social media marketing can help the market as a whole by way of perfectly fitted strategies for branding. Marketing tools and techniques is a primary player in influencing your brand perception with the help of social media. Regularly interacting with customers, industry leaders, influencers, and others would result in an increase in your profile and improvements to your public image. Surge ahead of competitors by generating revenue to meet your sales quota with the help of social media marketing. Company goals will meet specific business needs not only from your end but in supplying perfect solutions for clients. Business ventures start by envisioning profitable investments in the hopes for a huge payoff during the sales journey. Twitter and Facebook have seen their fair share of raising venture capital across businesses. Social media is transforming the world of marketing, because of the strategic informational content that can be used to convert visibility for your brand. Driving sales from social media eradicated the knowledge from the traditional process of generating growth. Brand enhancement and engagement allows businesses to make the most out of the presence you have in the digital network. Boosting sales from social media marketing campaigns helps you be prepared for extensive efforts in lending growth from your online presence. Social media is an invaluable platform for promoting sales growth. It is all about finding the right strategy to maintain engagement rate to keep your business services active. Social media marketing as a viable form of a sales enablement tool and provides significance in terms of ease of use and integration in the digital platform. Emerging in front of your audience’s eyes have never been the same again because doing away with conventional measures to create processes that sales teams may use to complement the buyer’s journey have been revamped by the presence of social media. This is where sales growth comes in by way of social media marketing. Its importance can be seen in the form of growth and results, both of which are essential to making an organization progressive. If you have any thoughts or questions on this subject then please leave them as a comment below. Social media is a great way to increase sales and get new customers. We are also focusing on social media marketing. Thanks for the tips. Hi Div Jangid, It is probably the best way to get new customers and we are always looking for new customers. Email marketing is probably the best method for getting repeat custom and sales. Social media has proven to be an efficient channel for bringing genuine people to the website, on the other hand, social signals also help your website in ranking higher. I believe future SEO is going to become social as social works naturally while SEO’s try to trick the system. In a war between artificial and natural thing, natural always win. Social media is indeed one of the dominating marketing strategies nowadays, the tips you just shared are really helpful. Thank you! We’re also using social media as one of our marketing strategies and it really helps a lot!!! Anw, thanks for the great tips! Yes, it is absolutely true that Social media is the best means to boost sales and also to attract a number of customers. Thanks for these tips and I will further work on it! Nice article. The way of representing the article is amazing. Thank you for sharing. Very good article. Most people fail with social media simply because they don`t have the patience or they lack consistency. Social media marketing is a long game and it`s one that certainly pays off. Social media is one of the most demanding strategies nowadays. The tips you have shared are really helpful. Thank you. Thank you for sharing this! social media marketing or marketing in general really is an essential in all companies! Social media marketing is definitely an effective strategy! Thank you so much for sharing this, very informative and helpful! Are you interested in a guest post in the SEO niche fore Infobunny? Thank you so much for sharing this wonderful article. yarh..Do agree with this post. Social media is the best means to boost sales and also to attract a number of customers. Thanks for these tips and I will further work on it! Thanks for informative share! Social media is the best means to boost sales and also to attract a number of customers. Thanks for these tips and I will further work on it! Great concept. Social media marketing is a full-on strategy, not just doing post day by day, there are many things that are involved, Which you define like a boss. Keep sharing this kind of informative thoughts. All the best. I have watch consumer confidence in social media marketing increase over the last decade. In the early days, I was terrified to click something that looked remotely interesting. Today, I trust the ads enough and the social platforms that manage them to get excited and click if it looks neat. This governance over the content on ads and who is allowed to market has been great for consumers and businesses. James recently posted…Don’t Why Me! Sharing this advantages of social media marketing or marketing in general really is very much essential in all companies. Nowadays digital progress has been a great tool for everyone. Thank you for posting. Social media marketing is the best way to promote your business online as I am running a marketing agency, I focus on the social media advertisement more than other marketing platforms because on social media we can exactly target our customers with patent figures and demographics which results in increasing sales. All the points you discussed in your post are worthy in sales growth and I would consider all of them in future.